2017 was one of those years for me. Emotionally and physically I went through it. From getting sick early in March to battling with the sickness for the rest of the year put me on a rollercoaster ride I did not expect going into the year. I had aspirations that 2017 would be the year that I got back on track physically. Let’s just say that did not happen. As a man and as an athlete, I was taught to fight through my emotions, not to feel, just tough it out and if you do feel it means you are soft. Years and years I suppressed my feelings. In tough pressure like moments, I would resort back to childlike behaviors and coping mechanisms that are quite frankly, not healthy. I never knew why I would resort back but I’ve learned this is what the brain does when it does not know new healthy ways to deal with problems. Who Can You Build Up? My heart breaks for the lives of young men and women that are treated unfairly and given up on. I believe everyone deserves a chance to be able to overcome the struggles and battles they face. Everyone has a story and for a brief moment, I want you to hear a quick story from my life. Many people see the work I do now and celebrate what has transpired over the course of my life but check this out… If my coaches in high school/college would have done a background check on my teenage years they would have discovered, I had 3 MIP’s, sold weed, smoked weed, skipped school, had poor grades at some point (1.2 GPA) and got drunk they would not have wanted me to a part of their program. It was very easy to find faults in my character, to display my weaknesses and hold me to the standard of my choices. However, the few people that were close to me were able to see I was just a hurting, lost and broken teen being influenced by my surroundings and making decisions based off of my broken emotions. They saw that I was a teen that needed guidance, love, support, encouragement and someone to believe in me. If I was never loved through the wrongs I committed and the poor choices I made, then I would have never had the opportunity to earn a high school degree, two college degrees, soon to be master’s degree, earn a Division 1 basketball scholarship, become an NAIA All – American basketball player, married and be able to become a student pastor. I share this because when a person hits a low in life, people are quick to point, judge, condemn and beat down. Before you go and label someone as a thug, gangster, low-life and as someone that may not ever change, first learn their story and understand why they are making poor decisions. Without people believing in me and of course God, I would either be dead or in prison. Based on the choices I was making as a teen, I was supposed to be apart and given up to the system. God can use you to make a difference in someone’s life. There are people out there, young men and women that need to be heard; they need someone to listen, love them, support them, challenge them, and help them process how to make it in this world. Will you be the person you needed when you were at your weakest and prayed for someone to help you? Who is the person in your life that you can walk alongside, encourage and help grow? Who is the teen that needs your love and support? Who can you mentor and not give up on? P.S. Think about these words, pray on them and remember: Be the change the world needs to see and as you do this; one day you will look up and realize, you influenced a lost teen to turn their life around to be a difference maker in this world. Last Year in My 20’s! Recently, I was hanging out with some friends at a cool rooftop spot with some dope food. We began to talk about leaving our 20’s and what it was like for each of them. One shared, how he broke down and cried. (This made me scared. Ha!) As you can imagine, the other friend shared how it was just another day. I love hearing two ends of the spectrum, especially when both spectrums can be viewed as being extreme. Although I am not crying, well at least while I am writing this I’m not, I am truly thankful to be alive another year. Despite some of my life goals not being accomplished yet, I believe God has me exactly where I need to be. With this perspective, I can keep living life to the best of my ability. I want to share a few thoughts about my 20’s. Check them out below! I am almost done with my 20’s which means, I have experienced some life. Yes, wisdom! Post college can be rough! Searching for my identity, calling and what I was suppose to do post basketball. ahhhhh!! Be authentic. Be real. Be you. Don’t try to copy someone else and don’t chase someone else’s dream. Go after your God driven dreams! Don’t rush love. So often we want to force relationships with people that don’t need to be in our life. Spend a lot of time alone. Singleness is a gift my friend. Utilize it. Grow. Learn who you are. Save money! Travel. Explore the world. The most meaningful experiences happen when you travel. Read. Invest in your mind and education. Every new book you read, opens a new door. Cry. Too often, we hold in our anger and frustration or we take it out in the wrong way. It’s okay to lay on the ground and cry because you are frustrated with how life is going. I did! Grow with God! Ask those questions about the Bible and faith that you always wanted to know. 2011 was my quest to truly understand the Bible and Christianity. This was 6 years after God saving me. Give back. Invest your time in your community, spend time with youth, be a mentor or a coach. I will forever be grateful for the opportunities I have spent with youth. Celebrate your friend’s success. Sometimes we get sour when one of our friends graduate college, write a book or land their dream job. Your time is coming so in the meantime be happy for your friends! Attend weddings and actually be and look happy. A lot of your high school/college friends will be getting hitched. Help your friends celebrate their special day. Go to the reception and help them turn up! Exercise! Stay consistent! Trust me, once collegiate/professional sports are over, the lbs will come if you are not consistently working out. Write. Journal. Start a blog. Keep a record of great moments and bad moments. It always helps me to look back and reflect. Pray. If you are a believer, spend a lot of time talking with God. Me and God had to duke (fight) it out! God and I had some amazing, tough and challenging conversations through my 20’s. I am thankful for each conversation. Step out your comfort zone. Do something you are afraid to do. Move to a new state, or two. 🙂 Once you do, you will slap yourself afterwards and realize it wasn’t that scary after all. Love. Love every person in your life unconditionally. Forgive. Your heart will be broken. You will hurt people. Learn. Let go. Don’t hold grudges or regrets. Drink coffee. 2012, I discovered a hidden love for coffee. My favorite drink is a cafe mocha with foam and an extra shot of expresso! Find patience. Your time in your 20’s is a long journey. Don’t try to become an overnight success. Progress not perfection. Give your all but ultimately understand your goal is to enjoy the process while making progress. Give yourself grace. You will make mistakes and you will make poor decisions. Learn from your choices and love yourself enough to move forward. Don’t do life alone. Find accountability, encouragement and support. You need a community that you can do life with. Celebrate! You need to celebrate your small victories. Remember to write your celebrations down so when you get discouraged, you can go back and get recharged! Whew! I hope you enjoyed that list. 20’s are truly a great time. To me, much of life is about perspective, learning and growing. As you can see, the past 9 years of my life, I have done that! P.S. August 21st is my birthday. I do accept gifts…. Peace out fam! Share this with a friend! I had just turned six years old. I remember my Dad handing me a brand new watch, which by the way broke the same day. I’ll save that story and my thoughts toward that watch for another time. After hearing these words, I remember riding away on my red bike replaying these words over and over in my mind. I kept saying to myself, “I am six. I have to be responsible.” At this moment, I felt good. I felt important. I felt I was in control, and I could make important decisions. I felt like someone believed in me. I am convinced what people want and need is for someone to believe in them. When someone close to you, looks at you and says words such as: I believe in you. You got this. You’re the right person for this job. You can get this done; something special happens to a person’s trust and confidence when you have people that believe in you, support you, encourage you and help you grow. Who are the people in your life that you are encouraging, supporting and pouring belief into? Are there people in your life that’s speaking into your life, dreams and purpose? That conversation happened in 2008, and it has stuck with me ever since. Now I didn’t go on to go to the NBA like Willie, but I did sharpen my belief toolbox. Did you catch what he said? “I believe I am the best player!” Belief starts with you. First you have to believe in you. If you don’t believe in you then who will? Your level of belief can take you far in life. Others may not believe in what you believe in or see what you see, but you have to have faith in your belief system and trust that what you believe in can become possible. Share how you manage to have a great belief system? Share some challenges you have with believing in yourself and/or your dreams. Revelation. Epiphany. Illumined. Enlightened. Awakened. We all have these points in life where we hit either a road block, a pit stop, a stumbling block, our breaking point, rock bottom or a wall. It is in these moments, where I believe a message awaits us. When I was younger, when moments like these that I mentioned above happened, I would get discouraged. Seriously, I would be so hard on myself to the point where I felt like the best thing to do was give up. Maybe you have been there yourself. It is usually in these moments, once I take a step back, I am awakened to a self discovery about myself. Something I probably would had never noticed if it wasn’t for something to come into my course of life and cause me to stop. Breaking down, stopping, resting, being able to pause is a good thing. In fact, I don’t think we do enough of it. So maybe, just maybe God allows for road blocks, walls and stumbling blocks to happen so that we can see what’s most important in our life. Maybe He wants us to slow down for a moment. Something special happens when our course of life is forced to stop. There is an unique awareness beginning to happen. There is an array of questions beginning to form within our finite minds. We’re trying to figure out what’s going on, how can the problem(s) be solved and what do I need to do to get through this. Life as we know it, will never be a smooth journey where the scale is consistently going up like a straight line. We know this is not how life happens. Instead, life is much more like the Millennium Force (for all of my Cedar Point riders). Life is full of thrills, ups, downs, tragedy’s, heartbreaks, memories and so on. The best thing that happens in my opinion is the discovery that you and I have the choice to do something. We have the opportunity to learn, to grow and to make changes for the better. Epiphany, revelation, whatever we want to call it, there’s a chance for us to wake up, mature and move forward. Whatever season you are in, whatever situation you are faced with on today, take a step back and ask yourself: God, what are you trying to reveal to me? What do I need to learn about myself? How can I grow from this and become a better person? Usually, asking “why” or “why is this happening to me?” is not the right question to ask. Asking why a lot of times leads to self pity and self condemnation. The “why” will be revealed, the “why” will be discovered as you process and analyze. God has an unique way of letting us know why we go through certain things. You may not get the answer or response you were hoping for but what you will get is a chance and opportunity to grow. If you’re like me, growing in life is important. In fact, growing remains on the priority list. We each need moments in life to slow us down. So instead of getting frustrated and upset, use these moments to clear your mind, to free your spirit and to see the good that’s about to happen. I can imagine what you are experiencing right now. The joy of finding Christ. The joy of God’s got it all under control. The joy of experiencing new freedom. The joy of release and breakthrough. The joy of something fresh and something new. The joy of being happy again. The joy of finding peace. The joy of overcoming your fears and doubts. The joy of trusting in Jesus! Oh, how joyous it is to be chosen to be apart of the Kingdom of God. But wait, let’s take a step back for a moment. Why do I still have problems? Why do I still have struggles? Why does it seem like people are upset that I made a change to my life? Why is my family upset that I want to be at church each week? How come I feel so guilty when I think negative thoughts? What is going on in my life??? I want to share with you 10 thoughts that will help you in your transition. These 10 thoughts are in no specific order but I believe each are equally important in your walk with God. 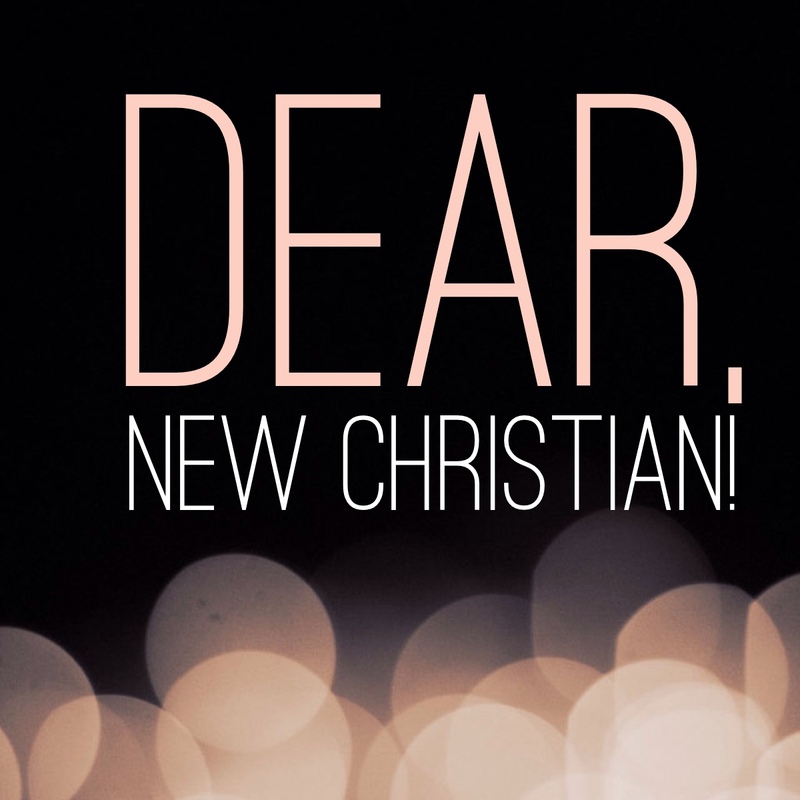 Becoming a new Christian is an exciting time but it can also be a scary time. Scary, meaning, you don’t know what’s next or what to expect. You have tons of questions but no one is answering. I believe through these 10 thoughts that I mention, if you apply them to your walk of life your questions will be answered. You will grow, you will learn and you will become the person God has called you to be. 1) Find a mentor! Get with someone that has been down the path you are now going down. Trust me when I say this, you need someone wise in your life that can speak honest truth, with love, grace and mercy. 2) Find an accountability partner. Get with someone close in age that is on the journey you are on. I prefer male to male and woman to woman accountability partners. Unless of course you are married. 3) Stay in the word daily. Whether you are reading 5 minutes a day or 2 hours a day. Read God’s word, for it is your foundation to life! 4) Get connected to a Christ centered, Bible believing, teaching church. I cannot tell you how important it is to be connected to a local church that you can call home. We need to be connected to believers from all walks of life. 5) Pray! Spend time each day and night praying. God wants to hear from you and you need to hear from God. Prayer is our direct communication to God. 6) Journal! Write down your thoughts. Write about your struggles. Write down your victories. Journaling allows you to release your thoughts. 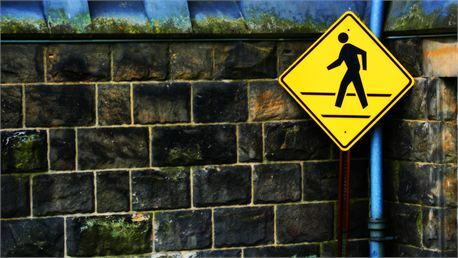 It also allows you to keep track of your walk with God. 7) Get in a life group/small group. Being able to do life with others are key and critical to your walk. You will have support, prayer, encouragement and accountability. Trust me, doing life with others is needed! Can’t do it alone. 8) Worship your God! Find out what fills up your spiritual tank. It can be singing songs, listening to sermons, praying, dancing, etc… Give God glory each day for Who He is and all He does. 9) Read books! Never stop learning. Never stop investing in yourself. There are so many amazing books out there to strengthen your walk with God and to give you a better understanding of the Bible. 10) Serve! Serve the local church but most importantly serve for your God. Your local church can use your gifts, talents and passions. Plus, there is so much joy in serving God. God rewards us for our service. Then again, we owe our service to Him! I will close with this. As a follower of Jesus you will mess up, you will fall short, you will have struggles, you will need help, you will need prayer. You will come to learn that we are broken, weak and needy individuals and that it’s okay to admit this. We need Jesus every single day and we need our brothers and sisters in Christ. Living for Christ is the best thing that can ever happen in this life. I am convinced. Stay encouraged new Christian. One day, you will be sharing and teaching this to other new Christians. Enjoy the journey!